for us. We ask the Church, all the saints and angels to pray for each of us to the Lord our God. 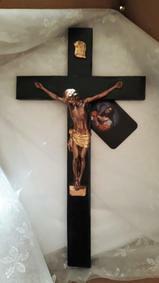 That Crucifix shows us how much our God loves us by laying down His life for us. By pouring out His love and mercy to all who come face to face with their own sin, He teaches us forgiveness. The Cross teaches us humility, which is the opposite of pride. It reminds us of who Christ is, and who we are. "Jesus came to pay a debt He didn't owe, because we owed a debt we couldn't pay" - Unknown. (Lk. 9:23-25, Col. 2:14, Eph. 2:16, Col. 1:21-23, Mk. 10:21)Dear friends, let us love one another, for love comes from God. Everyone who loves has been born of God and knows God. Whoever does not love does not know God, because God is love. This is how God showed his love among us: He sent his one and only Son into the world that we might live through Him. This is love: not that we loved God, but that he loved us and sent his Son as an atoning sacrifice for our sins. Dear friends, since God so loved us, we also ought to love one another. No one has ever seen God; but if we love one another, God lives in us and his love is made complete in us. Sister Dolorous Passion Emmerich's account of the Passion and Death of Our Lord Jesus Christ, while faithful to the Bible, is heart-rending, edifying and surprising-because of its intimate detail. Based on the visions of this great mystic, The Dolorous Passion recounts in incredible detail the horrendous sufferings undergone by our Saviour in His (it would seem) a superhumanly heroic act of Redemption. Illuminating in its description of Mary's participation in the sufferings of her Son, this book gives the reader a poignant understanding of why Our Lady is sometimes called our "Co-Redemptrix." The Dolorous Passionis a singular book that conveys a lasting impression of the terrible agony of Our Lord's sufferings for us. Here is a book that will melt a heart of stone! Preceding The Dolorous Passion in this edition is a short life of the remarkable Sister Anne Catherine Emmerich (1774 - 1824), a mystic, stigmatist and visionary. Toward the end of her life, she bore the wounds of Christ, ate no food save Communion, and. was in ecstasy a great deal of the time. It was during these ecstasies that she witnessed in vision the details of Our Lord's life which are recorded in this book. The earth - our earthly nature - should tremble at the suffering of its Redeemer. The rocks - the hearts of unbelievers - should come forth, the massive stones now ripped apart. Foreshadowings of the future resurrection should appear in the holy city, the church of God: what is happen to our bodies should now take place in our hearts. Again, who cannot recognize in Christ his own infirmities? Who would not recognize that Christ's eating and sleeping, his sadness and his shedding tears of love are marks of the nature of a slave? It was this nature of a slave that had to be healed of its ancient wounds and cleansed of the defilement of sin. For that reason the only- begotten Son of God became also the son of man. He was to have both the reality of human nature and the fullness of the Godhead. The cross is the tomb which absorbs all human pride:" Come thus far; I said, and no farther: here your proud waves shall break” (Job 38:11). The waves of human pride break against the rock of Calvary and they can go no further. The wall God erected against them is too high and the abyss he dug before them too deep. 'We must realize that our former selves have been crucified with him to destroy this sinful body' (Rm 6:6). The body of pride -- for this is the sin par excellence, the sin that gives rise to all other sins. 'He was bearing our faults in his own body on the cross' (1 Peter 2:24). He bore our pride in his body. But what concerns us in all this? Where is the 'gospel', the good and joyful news? It is that Jesus humbled himself also for me, in my place. 'If one man has died for all, then all have died' (2 Co 5:14); one has humbled himself for all, therefore all have humbled themselves. Jesus on the cross is the new Adam obeying for all. He is the head, the beginning of a new mankind. He acts in the name of all and for the benefit of all. As 'by one man's obedience many will be made righteous' (Rom 5:19), by one man's humility, many will be made humble. Pride, like disobedience, is no longer part of us. It is part of the Old Adam. It has become old-fashioned. The new thing now is humility, which is full of hope because it opens up a new existence based on giving, love and solidarity and no longer on competitiveness, social climbing and taking advantage of one another. 'The old creation has gone, and now the new one is here' (2 Co 5:17). Humility is one of these marvelous new things. What, therefore, does it mean to celebrate the mystery of the cross 'in spirit and in truth'? When applied to what we are celebrating, what is the significance of the ancient maxim: 'Acknowledge what you are doing, imitate what you are celebrating'? It signifies that you should implement within yourself what you represent externally; put into practice what you are commemorating in the liturgy. ...I must give Christ 'the sinful body of my pride', so that he can destroy it de facto just as he destroyed it by right once and for all on the cross. When I was a boy, the people of my region used to light a bonfire in the country at nightfall on the eve of certain feasts which could be seen over the hills. Each family would bring some wood and vine branches to keep the fire going while, around it, the rosary would be recited. Something similar must take place here this evening in preparation for the great feast of Easter. Each one of us should throw, in spirit, his load of pride, vanity, self-sufficiency, presumption, haughtiness into the great furnace of Christ's passion. We must imitate the saints in heaven as they adore the Lamb, for this is the model for our adoration here on earth. Revelation tells us the saints approach the throne in procession and fall down before him who is seated and they 'threw down their crowns in front of the throne' (Rev 4:10). They cast the real crowns of their martyrdom, and we cast the false crown with which we have crowned ourselves. 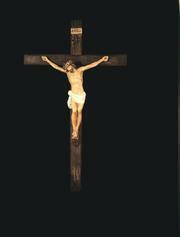 We must 'nail all feelings of pride to the cross' (St Augustine, On Christian Doctrine 2,7,9). On the cross Jesus did not just reveal or practice humility; he created it too. True Christian humility consists in participating in Christ's inner state on the cross. St. Paul says, 'In your minds you must be the same as Jesus Christ' (Phil. 2:5); the same mind and not a similar one. Apart from this, many other things can be taken for humility which are really either natural inclination or timidness, or a liking for understatement, or simply common sense and intelligence, when they are not a refined form of pride. Once we have put on Christ's humility, it will be easier, among other things, to work for Christian unity, for unity and peace naturally follow humility. This is also true in families. Marriage starts with an act of humility. A young man who falls in love and who on his knees, as was once the custom, asks a girl to marry him, makes the most radical act of humility in his life. He begs and it is as if he were saying, 'Give me yourself. Alone, I am not sufficient to myself, I need you!' We could say that God created humankind male and female to help them to be humble, not to be haughty and self-sufficient, and to discover the blessing of depending on someone who loves you. He inscribed humility in our very flesh. But, unfortunately, pride too often takes over again and the person we love has to pay for the initial need we had of him or her. Then a dreadful wall of pride rises between the two partners and their incommunicability extinguishes all joy. This evening, Christian spouses are also invited to place all resentment at the foot of the cross, to be reconciled to one another, embracing each other for the sake of Christ who, on this day on the cross, 'killed the hostility' (Ephes 2:16). 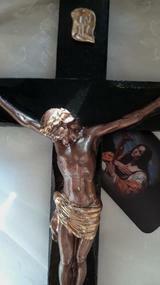 Why do Catholics have the Crucifix? In Genesis 3:22, the Bible states: “Therefore, he must not be allowed to put out his hand to take fruit from the tree of life also, and thus eat of it and live forever.” Simply, the Tree of Life would be the Cross, and the fruit of the Tree, Jesus Christ. 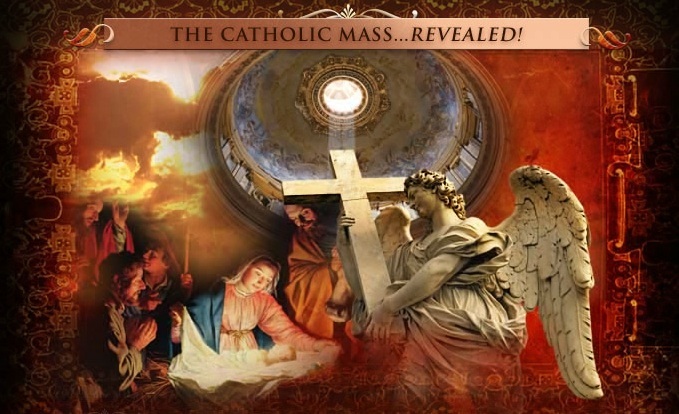 (An important Catholic Prayer, the “Hail Mary,” states about Mary: “Blessed is the fruit of your womb.”) Expanding this explanation to Eucharist, Catholics believe that the Eucharist is literally the Body, Blood, Soul and Divinity of Jesus Christ. “Eating” this will allow one to “live forever,” that is, following death one would have the opportunity to live for eternity in Heaven. The Cross also reminds one of the death of Jesus Christ, and, a crucial addition, of His Resurrection and victory over death.
" that a single tear shed at the remembrance of the Passion of Jesus is worth more than a pilgrimage to Jerusalem or a year of fasting on bread and water. Yes, because it was for this end that our Savior suffered so much, in order that we should think of his sufferings; because if we think on them, it is impossible not to be inflamed with divine love." 619 "Christ died for our sins in accordance with the scriptures"
620 Our salvation flows from God's initiative of love for us, because "he loved us and sent his Son to be the expiation for our sins"
"God was in Christ reconciling the world to himself" (2 Cor 5:19). "As they were , so we too gaze on his wounds as he hangs. We see his blood as he dies. We see the price offered by the redeemer, touch the scars of his resurrection. He bows his head, as if to kiss you. His heart is made bare open, as it were, in love to you. His arms are extended that he may embrace you. His whole body is displayed for your redemption. Ponder how great these things are. Let all this be rightly weighed in your mind: as he was once fixed to the cross in every part of his body for you, so he may now be fixed in every part of your soul."